You are here: Home » News » We’ve Improved The Sensitivity of Our PKA Assay! We’ve Improved The Sensitivity of Our PKA Assay! The newly improved DetectX® Protein Kinase A Colorimetric Activity Kit (K027-H1) from Arbor Assays provides a sensitive and reliable method for screening inhibitors or activators of PKA and for quantitating PKA activity in a wide range of sample types. The 96-well format kit utilizes a synthetic peptide as a substrate for PKA and a rabbit monoclonal antibody that recognizes the phosphorylated form of the substrate with a three hour assay. With the assay improvements, the kit now contains an improved formulation for the kinase reaction buffer and a more sensitive standard range without the need for a two-wavelength readout. We have improved the overall performance of the kit resulting in an assay that is 10 times more sensitive. This increase in sensitivity has resulted in a change in the standard curve range and reagent preparation. The new range will allow measurement of lower concentrations of PKA in your samples with a simpler assay protocol. 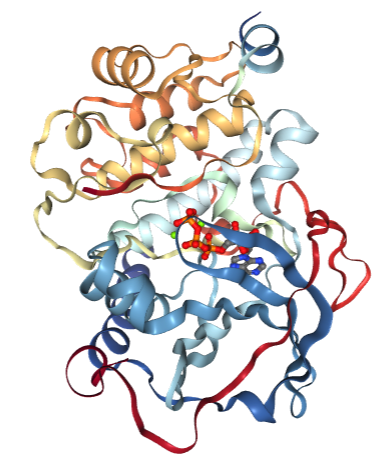 Protein Kinase A (PKA) is one of the most widely researched and critically important protein kinases. PKA is a multifunction kinase controlling multiple cellular functions, including regulation of glycogen, sugar, and lipid metabolism. Binding of cAMP to regulatory PKA motifs leads to dissociation of catalytic subunits that phosphorylate Ser/Thr domains on a wide variety of target proteins. Measurement of PKA activiy is vital in understanding metabolism and cellular responses to stress.